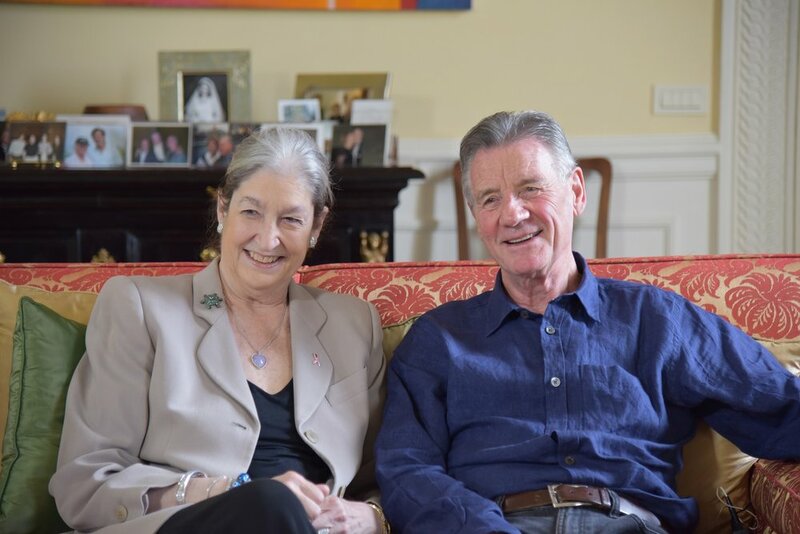 British actor and comedian Michael Palin joins 'The Quest for Artemisia'. His interview with 'Indiana Jane' was an annual highlight. What was it like meeting actor Michael Palin and ”Artemisia”? When British actor and commedian approached the BBC with his idea for a documentary called “A Quest for Artemisia”, their response was one he likes to joke about: ”They told me, ‘We’ve already done a film on Artemisia Gentileschi’. Palin protested, ”Seriously, one film? She got six minutes in a documentary that covered six artists over four centuries. Can you imagine a series called ”Great Men Painters?” Palin interviewed our Founder when featuring AWA’s restoration of Gentileschi’s 1653 masterwork David and Bathsheba in his program The Quest for Artemisia. Despite restoration, the painting continues to languish in storage at Florence’s Palazzo Pitti. It is living proof that Gentileschi, one of the finest masters of her time, still needs to be ”found”.